Freedom Munitions HUSH .40 Smith & Wesson 200gr RNFP Rounds - Box of 50 | BUDK.com - Knives & Swords At The Lowest Prices! 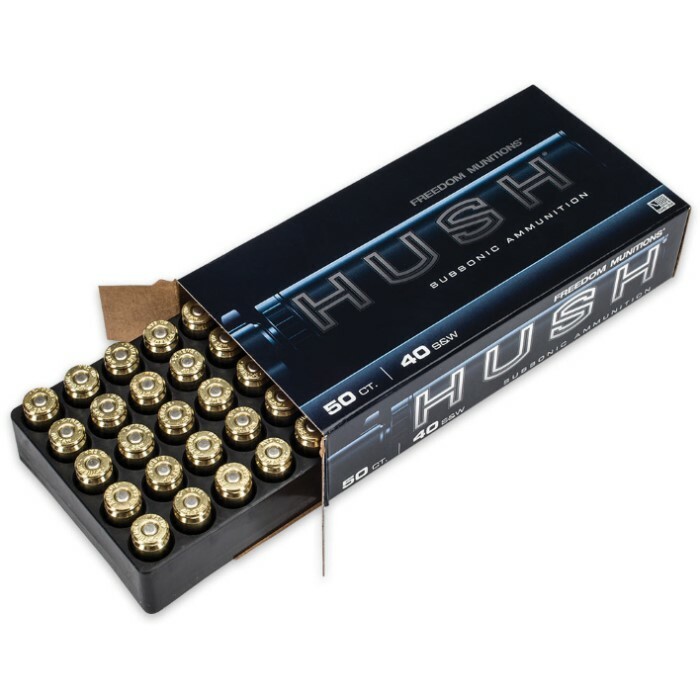 Freedom Munitions designed HUSH .40 Smith & Wesson rounds from the ground up to provide the best in affordability, reliability and cleanliness in suppressed pistols and rifles. Each 200gr load features the cleanest and quickest powder for the caliber to help keep suppressed firearms as clean as possible while maintaining subsonic velocities and superior reliability. The bullets and their profiles were chosen to give each load the most consistent, accurate performance of any available suppressor-specific ammunition on the market. Subsonic loads are ideal for shooting through suppressors because they help reduce the sound signature better than standard ammunition. American-made HUSH subsonic ammunition doesn't exhibit a supersonic crack, thereby making HUSH ammunition quieter when shot through your favorite suppressor. 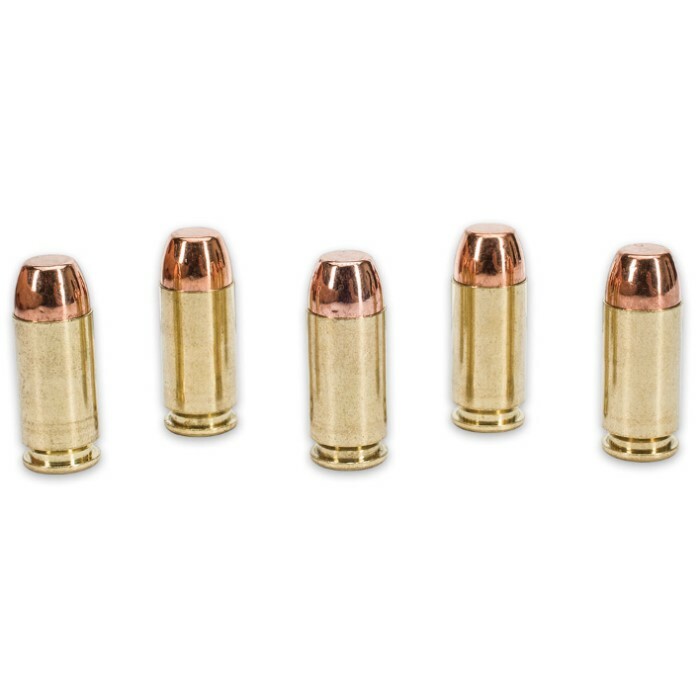 You don't have to shoot these rounds through a suppressed firearm, however. 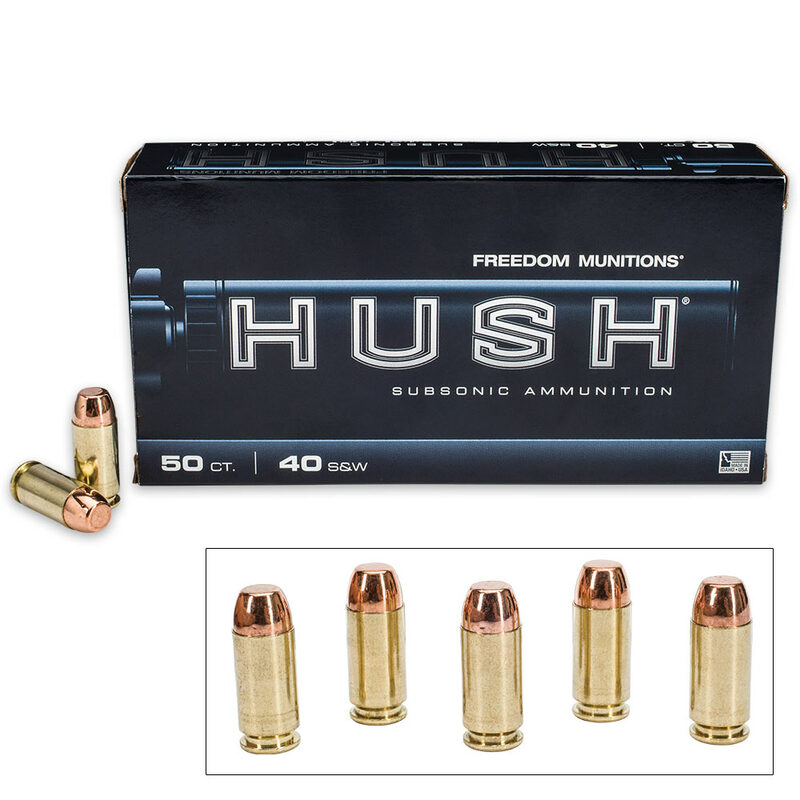 Freedom Munition’s .40 HUSH rounds perform equally well in conventional, nonsuppressed firearms. A convenient 50-count box of American-made ammo that's quieter, yet doesn't sacrifice performance - you just can't ask for more!